Activated carbon (AC) is a common adsorbent used for the purification of aqueous solutions, yet its poor aqueous dispersion may negatively affects its practicability significantly. 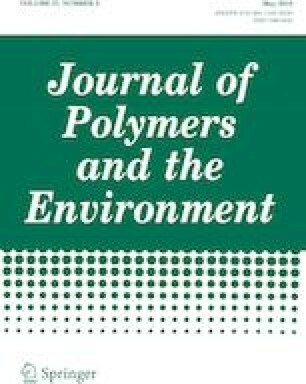 In the present study, the fabrication of an AC aerogel immobilized with konjac glucomannan (KGM/AC) for environmental protection was reported, and the parameters (e.g. AC content in aerogel, solution pH, adsorption duration, adsorption temperature and adsorbent dosage) were analyzed systematically using methylene blue (MB) as a model adsorbate. Further, to explore the adsorption equilibrium isotherm at equilibrium, the adsorption data were respectively fitted to Langmuir and Freundlich models, while kinetics study was conducted to explain the adsorption mechanism and predict the adsorption efficiency. Besides, the effect of temperature on the adsorption behavior was assessed using Van’t Hoff equation. According to the experimental and calculative results, the adsorption data at equilibrium could be well geared into the Langmuir model, and the adsorption kinetics behavior was better consistent with the pseudo-second-order expression as well as the intra-particle diffusion model. The Brunauer, Emmett and Teller surface area of KGM/AC aerogel was 352.44 m2/g. KGM/AC aerogel exhibited the maximal capacity of adsorption of 416.67 mg/g at 323 K, and its adsorption behavior toward MB was endothermic and spontaneous in nature. This work was supported by the Qingdao Postdoctoral Science Foundation, National Natural Science Foundation of China (No. 51672140), Natural Science Foundation of Shandong Province (ZR2015EM038) and Taishan Scholar Program of Shandong Province (201511029).